Sign up for Broadjam today to follow Kirk James Hall, and be notified when they upload new stuff or update their news! 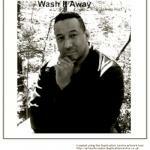 Let me see Lord, the title cut from Wash It away by Kirk James Hall. It is a song about waiting the Lord and doing his will and not yours. It posses the question go God: Whats in your plan for my life because I can't do it without you. Go through some sickness and and time on my hand.